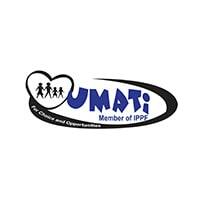 UMATI, a member of the International Planned Parenthood Federation (IPPF), is a leading non-profit Association providing Sexual and Reproductive Health and Rights (SRHR) information and services in Tanzania. UMATI with the Technical assistance from Regional office is implementing the activities of delivery of Health Related Services through public and private health facilities, community health workers as well as Outreach Work, under the project titled “WISH2ACTION”. Contribute to message, communications material, community communications and activities development in accordance with the SBCC project strategy, to increase access to family planning emphasizing the importance of gender-based norms and promoting the concept of rights-based informed choice. Contribute to formative, quantitative and client-centered research to identify key health behavior determinants targeted by the project. Collaborate with program, finance and administrative staff. Create and maintain systems ensuring effective and transparent use of financial resources for timely and informative reporting in line with donor and DFID policies and procedures. Demonstrated success in generating innovative and effective behaviour change or marketing solutions. Previous experience in the development and implementation of Social Behavioural Change Communication strategies and programs. Experience in leading the implementation of community based interventions. Demonstrated experience in identifying barriers to behavior change and developing sound communication plans that include innovative strategies to address them. Demonstrated ability to work with various partners including donors, MoH, Local governments, CBO's and NGO's. Knowledge of family planning and other public health-related fields Knowledge and understanding of current theories and SBCC best practices. Experience in development and implementation of SBCC activities including the use of mass media, social media, interpersonal communication, advocacy and social mobilization. Hands-on experience in the development of SBCC strategies, of messages and materials specific to the context of Tanzania to fight against gender inequalities and social norms. Knowledge of local languages and command of English is an asset. Ability to train and facilitate dialogue among a diverse group of individuals with various skills set and work styles. High motivation, initiative, and adaptability. An ability to work successfully in remote and challenging settings with limited resources. Computer literacy (Word, Excel and Power Point).Diligence and attention to detail. Develops Institutional Systems to ensure smooth running of UMATI operations. This includes ensuring SAGE ERP system is fully operational. Ensures UMATI meets all the IPPF accreditation Standards. Ensure accurate financial, contractual and administrative reporting of restricted and unrestricted funds projects is rules and regulations, and terms and conditions. In liaison with Manager HR & Volunteers Service, support the preparation of monthly payroll, obtain approval and process to bank. Ensures the production and & issuance of pay slips and maintains all payroll records. Oversees the processing of leaves records ensuring no more than 10 days leave is accrued. Prepares yearly Payroll reconciliations & Payroll taxes Summaries. Supports all other employer payroll related requirements. Ensure on positions which are in the APB or budgeted for in restricted projects are filled. Minimum of a Bachelor degree in Business Administration/ commerce or any other business related degree. A professional qualification is required (CPA, CIMA, CA, ACCA). Applications which do NOT include ALL of these elements will NOT be considered. Only shortlisted applicants will be informed by phone call. Closing date for applications: Applications received later than 03rd February 2019 will not be considered.